Good luck catching up to the entrenched leader, though. 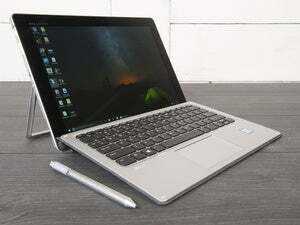 HP’s Pro x2 convertible would normally be a bit too corporate for PCWorld, but we’re covering it for two reasons. Announced Sunday at Mobile World Congress in Barcelona, it’s among the first Surface clones to appear sporting a selection of 7th-generation Kaby Lake CPUs. It’s also taking on the iPad in areas where the popular tablet dominates. In retail, for instance, you can see iPads in Square payment terminals at checkout counters, and some airlines use them for check-in and documentation. It’ll be interesting to see whether the Pro x2 will be able to carve out some new territory. 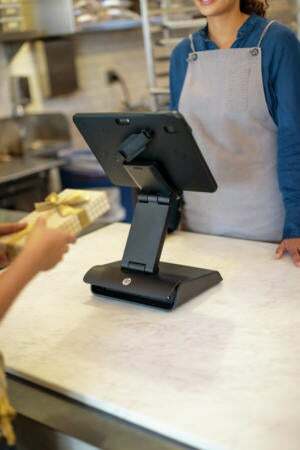 The Pro x2’s retail accessory includes a stand so it can be used for checkout. Let’s talk specs with the Pro x2, because the choices far outstrip what’s available for an iPad. Fully named the Pro x2 612 G2, the device is available now and starts at $979. It will offer a choice of Kaby Lake CPUs, as mentioned above, as well as Pentium and Celeron choices. All the chips are dual-core models with integrated graphics. They won’t be powerhouses, but at least with the Kaby Lake versions you’ll get a solid balance of performance and power efficiency. All models have 8GB of RAM soldered to the motherboard. The SSD choices range from 128GB to 512GB in size and from SATA through M.2 PCIe NvME to SATA FIPS in flavor. The display is Full HD (1920x1280) LED touch with a choice of regular BrightView glass or the tougher Corning Gorilla Glass 4. The single USB 3.1 Type C port is for fast charging as well as connectivity. You can fill your battery up to 50-percent capacity within 30 minutes. There’s also a USB 3.0 Type A port. The included Collaboration Keyboard has special features including dedicated keys for voice and video calls. It also has a pen loop, because the Pro x2 supports pen and stylus use as well as Windows 10 virtual inking. It’s worth noting the built-in accelerometer, magnetometer, gyroscope, and proximity and light sensors. You don’t see these on every tablet, but the Pro x2 expects to be put to more than the usual list of uses, from retail and medical to construction and field applications. 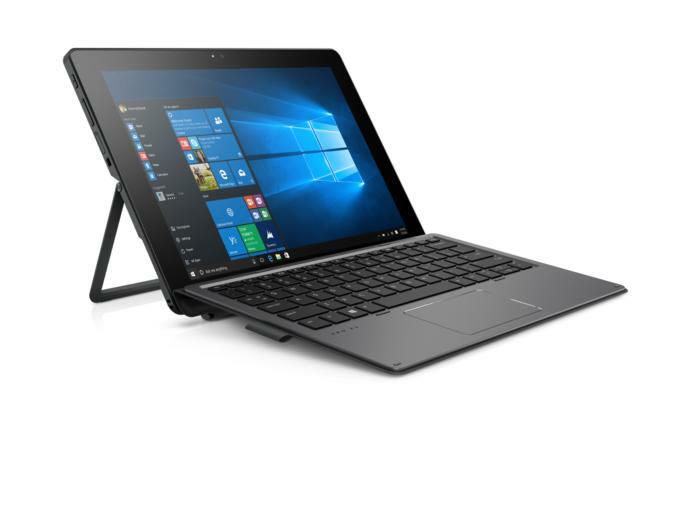 That's also why the tablet has security features including a smart card reader and removable SSD, and serviceable parts from the display and the kickstand to the removable back panel. HP’s Pro x2 is ready for industrial work with its Rugged Case accessory. 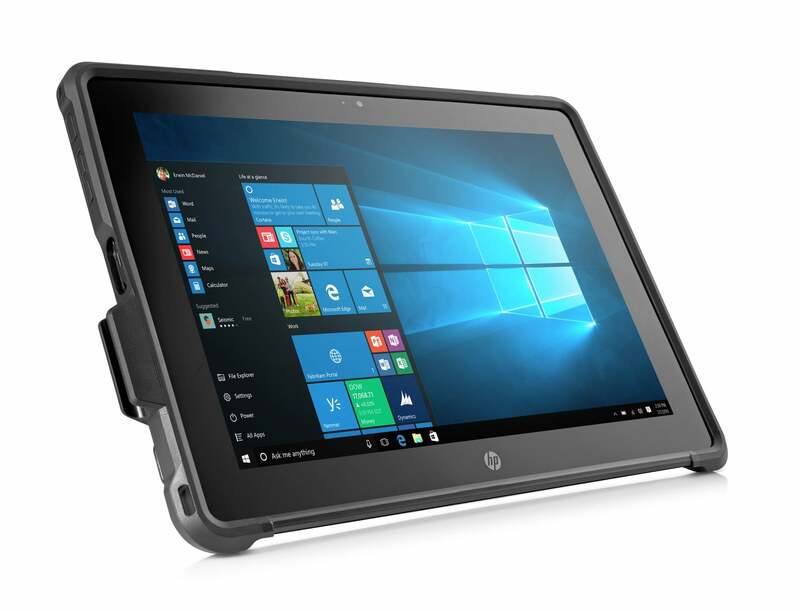 Along with all these configuration choices, HP is offering accessories to help move the tablet into new frontiers where the iPad has long reigned. The $49 Rugged Case somewhat resembles the special case used by Microsoft’s Surface Pro in its NFL gig. HP’s case has a hand strap that rotates, plus a shoulder strap. It offers optional port plugs and can accommodate the keyboard. HP sells a Retail case for the Pro x2 so it can be used for mobile inventory or checkout. 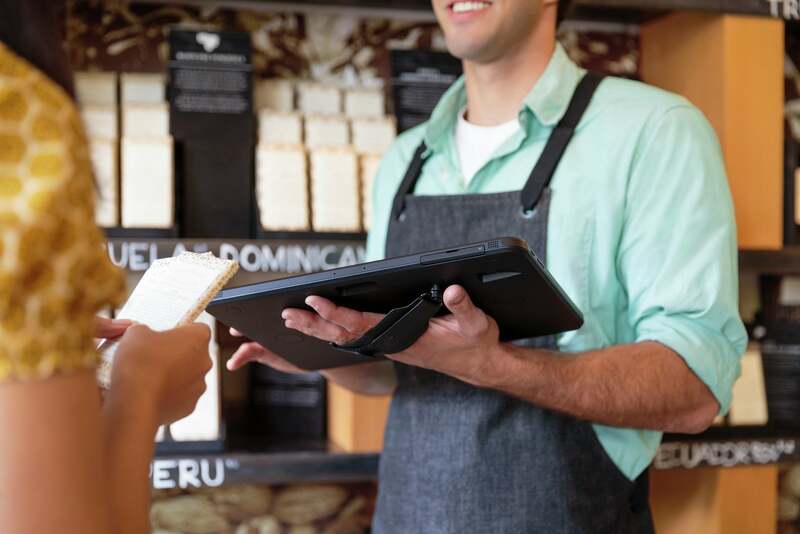 The $249 Retail Case 12 turns the tablet portion into a point-of-sale device that can be carried or docked to an included base. Both accessories are available now. It’s important to acknowledge that no matter how much PC-centric people have tried to point out the iPad’s limitations in OS capabilities or specs, Apple has been very good at finding business uses for its tablets. HP’s Pro x2 is a brave attempt to turn the tide. If the businesses already use Windows PCs there’s potential for success, but it’s too early to tell whether the Pro x2 will make any inroads.